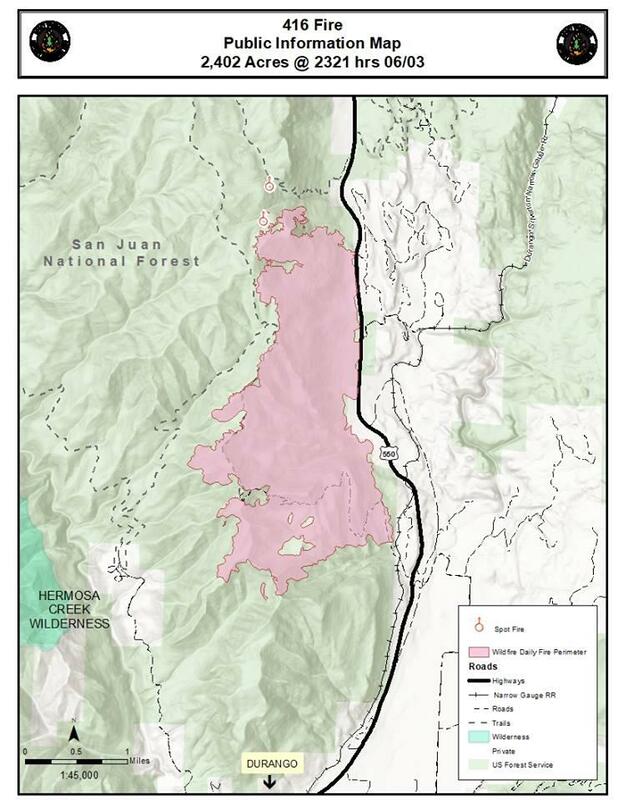 A map of the 416 Fire released Sunday, June 3rd at approximately 11pm. Officials said on Monday the fire had grown 147 acres since the map was released. The 416 Fire north of Durango grew only a modest amount between Sunday and Monday, but remained just 10 percent contained by Monday afternoon. 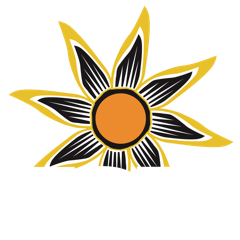 UPDATE 6/4/18, 3:30pm: Highway 550 is closed as of Monday afternoon due to heavy smoke. The Colorado Department of Transportation does not expect it to reopen before the end of the day. The fire, so called because it was the 416th reported in the area this season, was estimated at more than 2,400 acres Monday. That’s up 147 from the day before. According to a release from the Rocky Mountain Incident Management Blue Team, the trace of rain that fell Sunday had no effect. Close to 400 firefighters are battling the blaze, which is burning through dry vegetation in steep terrain. Some 800 homes have been evacuated. An 8-mile segment of U.S. Highway 550 was closed Friday afternoon and Saturday, but a single lane was opened Monday until 6 p.m. for through traffic only. The Hermosa Watershed area of the San Juan National Forest was closed to visitors, and the Durango & Silverton Narrow Gauge Railroad has suspended passenger service until at least June 10th. Meanwhile, the extended weather forecast was for more hot, dry weather until Friday. 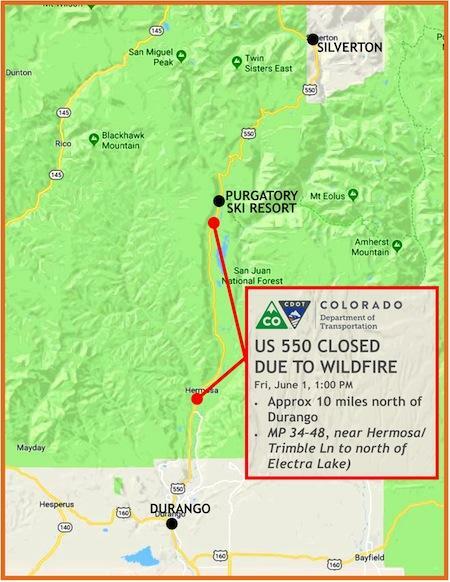 A wildfire burning on national-forest land north of Durango has prompted the closure of a portion of U.S. Highway 550.